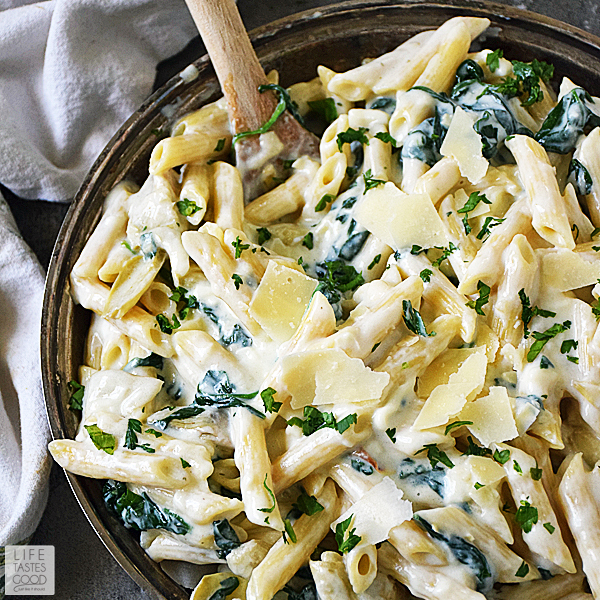 Spinach Artichoke Pasta Recipe is an easy recipe you'll rely on whenever you don't feel like cooking. It is so easy and everyone loves the creamy deliciousness of this pasta recipe that tastes just like the spinach artichoke dip we love to eat on game day and at parties. Spring is in the air so the Sunday Supper Tastemakers are sharing a collection of Easy Spring Recipes, because who doesn't want more easy recipes to free up time to spend with family and friends?! Don and I like to enjoy a lazy weekend every once in a while. It brings us back to our first few years married. Back in the BC years (before child), as we call them, when Don was in fire school during the day and I worked 2nd shift at the police dept. We rarely got to see each other except for a quick dinner on my break here and there. On Friday nights we would rent a bunch of movies (on vhs tapes - remember them? ), order a couple of pizzas, and spend the whole weekend in our jammies just hanging out and catching up. We were so cute! Nowadays, whenever our schedules are out of sync and we need time to reconnect, we spend a weekend with Netflix in our jammies. Sometimes we still order pizza for old time's sake, but mostly I like to whip up something delicious for a nice dinner and then enjoy the leftovers during our lazy weekend. 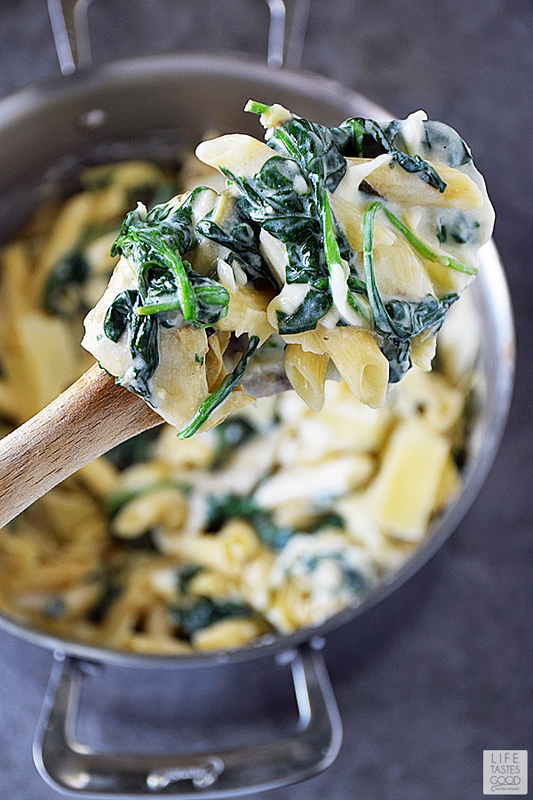 This delicious Spinach Artichoke Pasta is always a go to. It is soooo good we don't mind eating it everyday for a week (or more)! It's easy to make and cooks in one pot so clean up is a breeze! Show of hands - who loves spinach artichoke dip?? ME ME ME (waving hands frantically)!! I love the spinach, the artichokes, the cheeeeeeese, the garlic!! I love everything about it! So why not put it over pasta and serve it for dinner? I can't think of a good reason why not! Can you? 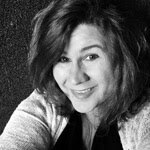 I put together some tips to help you get this on the table in a jiffy! Cook the pasta first as directed on the package, drain, reserving some of the pasta water and set aside until needed. While the pasta is cooking, gather the rest of the ingredients. Portion the butter into 3 pieces of 2 tablespoons each. Mince the garlic. Open and drain the artichokes. Measure out the flour, milk, and cheeses. Use the same pot to cook the rest of the ingredients according to the instructions below. 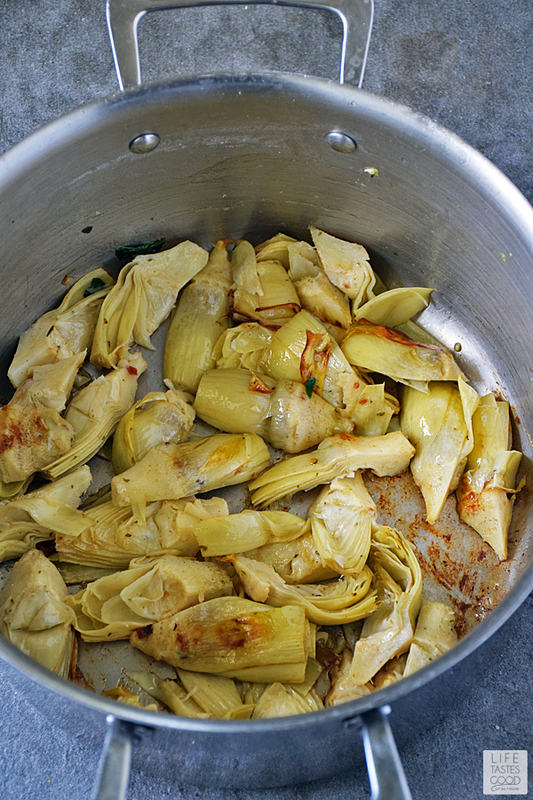 I use jarred artichokes because it's easy and inexpensive. Fresh artichokes would be wonderful in this recipe, so if you have them and don't mind breaking them down to get to the hearts, then by all means, use them. Prepare Penne as directed on package for al dente. Drain and set aside. I use my 6 qt stock pot which is the only pot I need for this recipe. In the same pot, over medium heat, melt 2 tablespoons butter and add all of the spinach and a pinch of kosher salt. Don't worry! It's not too much spinach! I promise! 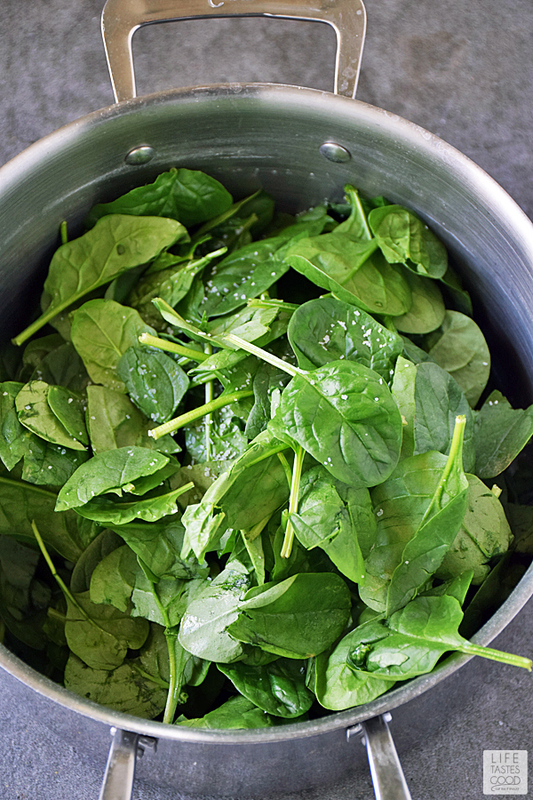 Cook spinach, stirring, for a few minutes until wilted and then add 1 tablespoon freshly minced garlic. Saute for about 30 seconds until the garlic is fragrant. Remove the sauteed garlic spinach from pot and reserve. In the same pot, over mid-high heat, melt 2 tablespoons butter and add both jars of drained and quartered artichoke hearts. Allow the artichokes to sear for 3-5 minutes until browned and then stir to make sure the artichokes are coated in the butter. Remove the artichokes from the pot and reserve. In the same pot, over mid-low heat, melt 2 tablespoons butter and whisk in 2 tablespoons flour until combined. Scraping any brown bits from the bottom of the pan for more flavor - yummmm. Pour in 3 cups whole milk and cook over medium heat for about 5 minutes or until it starts to thicken. Don't let it boil. Add 1/2 cup Parmesan Cheese and 1 1/2 cups Mozzarella Cheese. Give it a taste and season as needed with salt and pepper. Don't be put off by the overly milky taste of this sauce. Once you get the artichokes and the garlicky spinach in there it will all come together! I promise! Add the reserved artichokes and pasta and toss gently to distribute, and then fold in the reserved spinach. Top with extra Parmesan cheese and crushed red pepper flakes (be careful with the pepper flakes - you don't need much!) Give it one more taste and realize you have died and gone to heaven :) and adjust seasonings as needed. Enjoy! add 1 tablespoon freshly minced garlic. Saute for about 30 seconds until the garlic is fragrant. 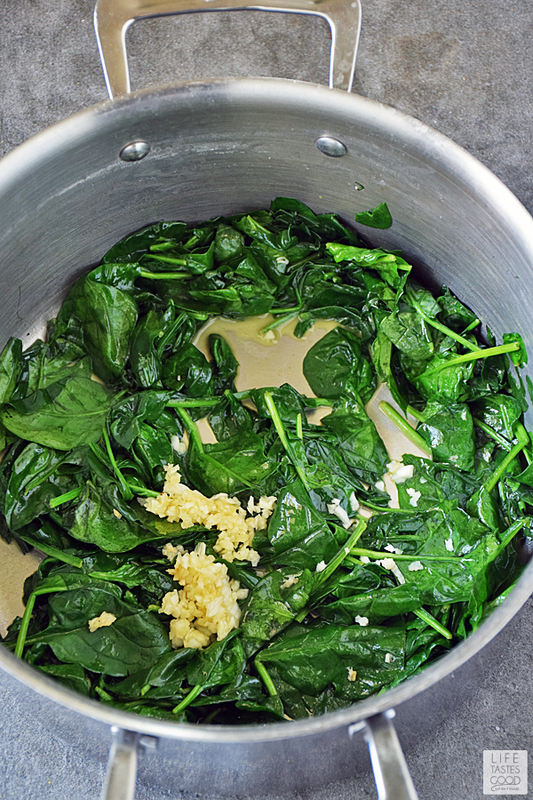 Remove the sauteed garlic spinach from pot and reserve. 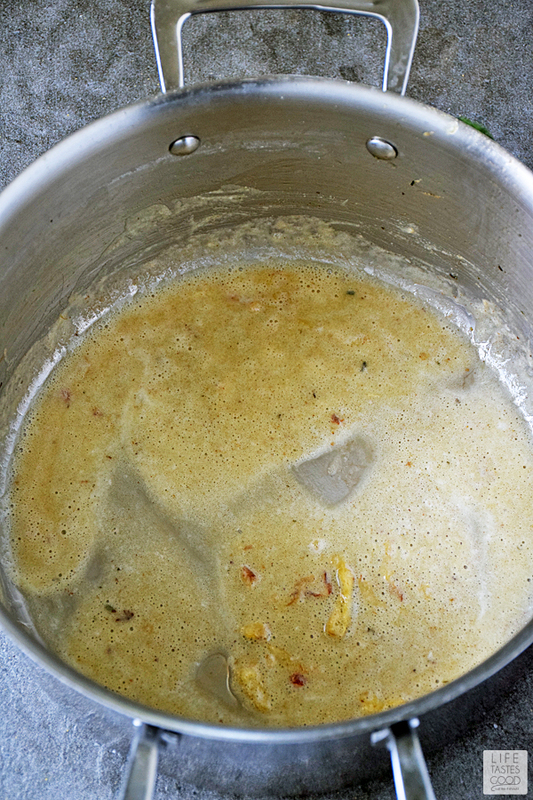 In the same pot, over mid-low heat, melt 2 tablespoons butter and whisk in 2 tablespoons flour until combined. Scraping any brown bits from the bottom of the pan for more flavor - yummmm. 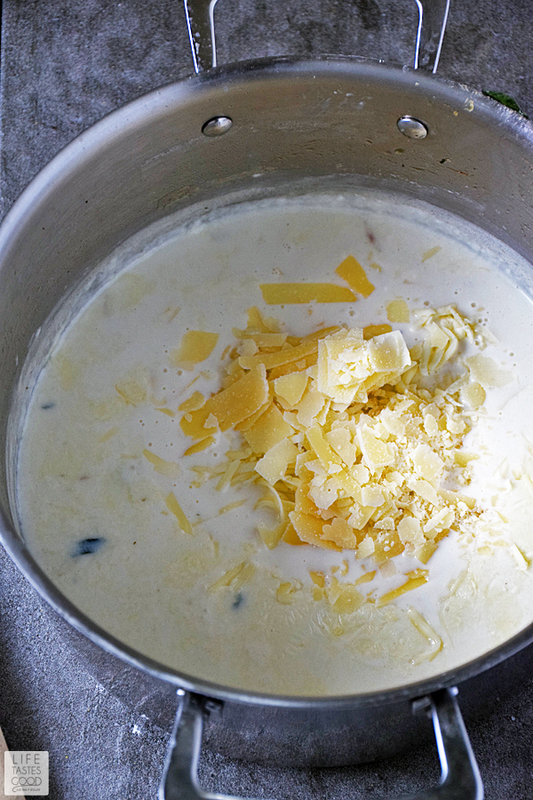 Pour in 3 cups whole milk and cook over medium heat for about 5 minutes or until it starts to thicken. Don't let it boil. Add 1/2 cup Parmesan Cheese and 1 1/2 cups Mozzarella Cheese. Give it a taste and season as needed with salt and pepper. Don't be put off by the overly milky taste of this sauce. Once you get the artichokes and the garlicky spinach in there it will all come together! I promise! This pasta looks SO amazing!! I love all of the ingredients! Pinning! This looks so good. It has several of my favorite ingredients, so I'm anxious to try it. Can I come over in my pajamas too? 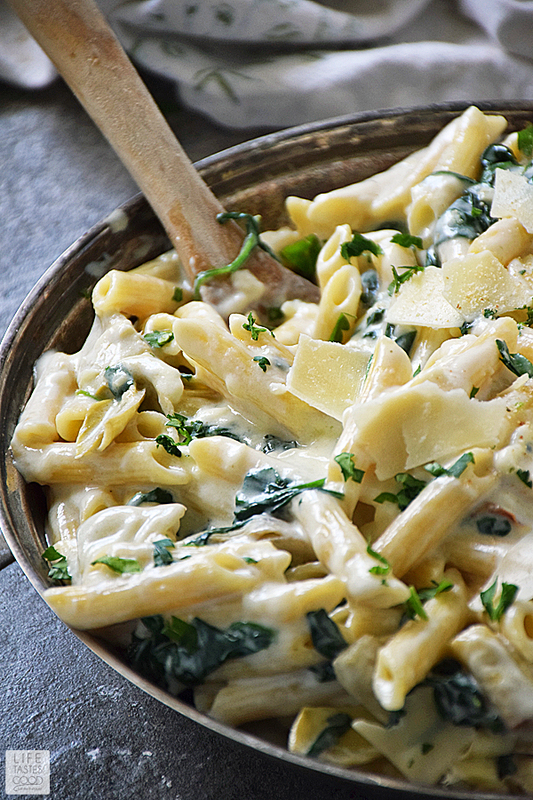 This pasta looks super. Artichoke is a spring ingredient all the way. Nice post. Oh Marion.....will you adopt me?! So creamy and delicious. My mouth is watering. This is gorgeous Marion! Goodness! Love those flavors, really wish I could have a big bowl right about now. In the meantime, I will be pinning to make soon! 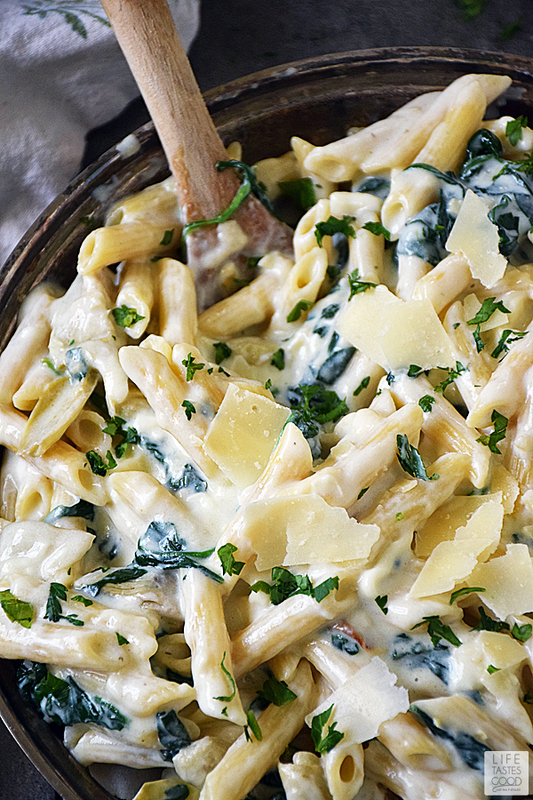 Great idea turning that dip treat into a creamy pasta sauce! Where's the print button so I can print this as a recipe card?